Andrea Dutton is a carbonate geochemist and sedimentologist and Assistant Professor of Geology at the University of Florida, with interests in research questions pertaining to paleoclimate and paleoceanography. Her main research focus is to establish the behavior of sea level and polar ice sheets during past warm periods to better inform us about futuresea-level rise. Andrea serves on multiple editorial boards, steering committees, and working groups related to past climate and sea level change and is a contributing author to the Intergovernmental Panel on Climate Change Special Report on Oceans & Cryosphere in a Changing Climate (SROCC). She is a Fellow of the Geological Society of America and of the Florida Climate Institute, and is committed to scientific outreach and public engagement, actively communicating about her research through multiple platforms. She holds a B.A. in music from Amherst College, a M.S. and Ph.D. in geology at the University of Michigan, and spent seven years in Australia as a postdoctoral fellow and research fellow at The Australian National University. Sophie Nowicki is a Research Scientist and Deputy Chief for the Cryospheric Sciences Laboratory at NASA Goddard Space Flight Center in Greenbelt, MD. Her research uses applied mathematics, remote sensing observations, and numerical modeling to understand ice sheet dynamics and their connections to the global climate and future sea-levels. She has been a science team member for Operation IceBridge and co-led the Sea-Level Response to Ice Sheet Evolution (SeaRISE), an international effort that investigated the sensitivity of the Greenland and Antarctic ice sheets to external environmental forcings. She currently leads an effort to couple an ice sheet model to the two Goddard climate models (GEOS-5 and ModelE), and an effort that investigates the feedbacks, processes, and impacts of contemporary changes in the Arctic using satellite observations, ice sheet, and climate models. She is a member of the NASA Sea Level Change Team, the SEARCH Land Ice Action Team, and the Community Earth System Model Scientific Steering Committee; an executive committee member for the Ice Sheet Mass Balance Intercomparison Exercise phase 2; and co-lead of the Ice Sheet Model Intercomparison Project for Coupled Model Intercomparison Project Phase 6 (CMIP6). She holds a B.Sc. in Geophysics and an M.S. in Remote Sensing and Image Processing from the University of Edinburgh, and a Ph.D. in Theoretical Glaciology from University College London. 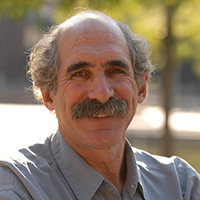 Michael also serves as a science advisor to the Environmental Defense Fund, where he worked for two decades, and is a long-time participant in the Intergovernmental Panel on Climate Change (IPCC), serving currently as a coordinating lead author of IPCC’s Special Report on Oceans, Crysophere and Climate Change. Michael has been a member of several panels of the National Academy of Sciences and is a Fellow of the American Association for the Advancement of Science and a winner of the Heinz Award. He received an S.B. in chemistry from M.I.T., a Ph.D. in chemical physics from the University of Chicago, and pursued post-doctoral research at the Harvard-Smithsonian Center for Astrophysics. 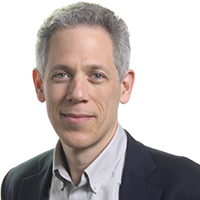 Benjamin Strauss is President, CEO, and Chief Scientist of Climate Central, an independent, nonprofit organization that researches and communicates climate science, impacts and solutions. He is author of numerous scientific papers and reports on sea-level rise and is architect of the Surging Seas suite of maps, tools, and visualizations, which has garnered more than 100 million page views. In earlier roles at Climate Central, Ben served as Chief Scientist, Vice President for Sea Level and Climate Impacts, interim Executive Director, and COO. He was a founding board member of Grist.org and the Environmental Leadership Program. Strauss co-organized the 1994 Campus Earth Summit, and consulted to the Nathan Cummings Foundation on higher education and the environment. He holds a Ph.D. in Ecology and Evolutionary Biology from Princeton University, an M.S. in Zoology from the University of Washington, and a B.A. in Biology from Yale University. Sea levels are rising as a consequence of climate change, and rising oceans will affect many millions of people in the years ahead. But how much will the seas rise, and how fast? 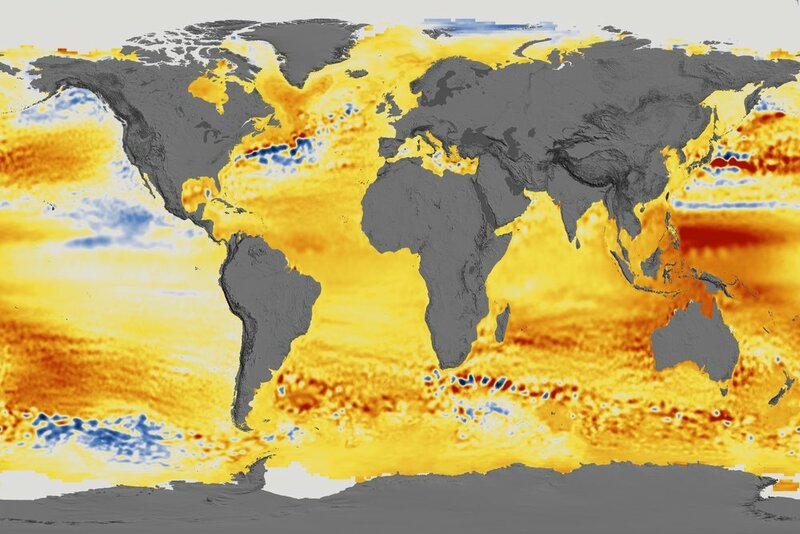 This June 6 media briefing focused on how scientists model and project sea level rise, and how to interpret and communicate the range of possible outcomes accurately and in proper context to your readers, listeners, and viewers.